Going beyond the genre’s music, Silent Saga combines Heavy and Thrash Metal guts with intense vocal melodies. The lyrics make stand out as well, addressing the listener directly, bringing to discussion current themes and challenges that we all face these days. The band comes from Hamburg, Germany, where Sabrina Todt (vocals and flute) and Renato Angelo (guitars) have been living since 2014 after moving from Brazil, where they shared stages with some of the biggest bands in the genre such as Epica and Nightwish, still under the name “Amazon”. A new name was needed, and at this point, a new brand was born: Silent Saga. The band is completed by bassist Carsten (Sharky) Meyer , who played in the last years with Ratpack, one of the last formations from Zed Yago and also in the Jutta Weinhold Band in the beginning. The experienced drummer Daniel Sapcu completes the European line-up. 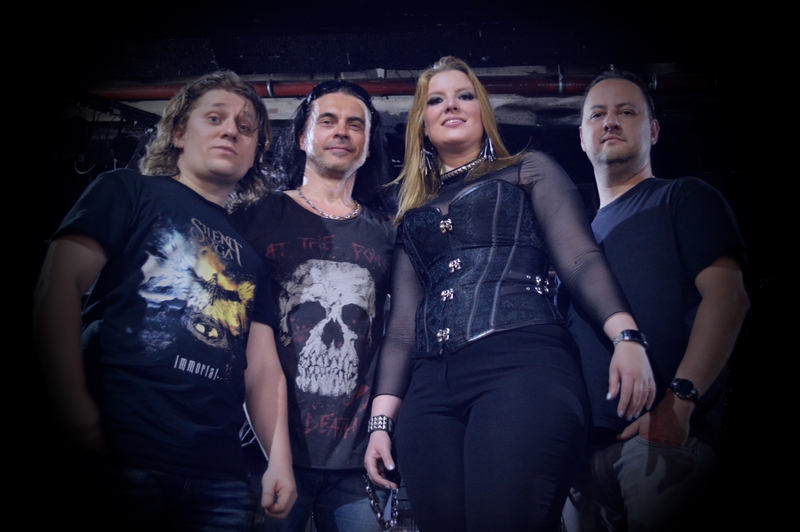 The band’s debut material, RISE!, was produced by Sander Gommans (After Forever/HDK/Phantom Elite), Ivo Van Dijk (Xystus, Karmaflow) and Amanda Somerville (Avantasia, Kiske/Somerville). It consists of 10 tracks and is out now!